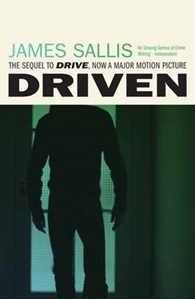 Drive, James Sallis's critically acclaimed thriller about a movie stunt-man who moonlights as a getaway driver for the mob, became an award-winning film, directed by Nicholas Winding Refn, starring Ryan Gosling and Carey Mulligan and introduced Sallis to a worldwide audience - this is the stunning sequel Seven years have passed since Driver ended his campaign against those who double-crossed him. He has left the old life, become Paul West and founded a successful business back in Phoenix. But walking down the street one day, he and his fiancée are attacked by two men and, while Driver dispatches both, his fiancée is killed. Sinking back into anonymity, aided by his friend Felix, an ex-gangbanger and Desert Storm vet, Driver realises that his past stalks him - and will not stop. He has to turn and face it.